Well priced electrical cabinet air-conditioning may be fitted to your machine tool by CNC's engineers extending the life of expensive electronic and control components. While also providing peace of mind for your production in Australia's harsh climate. * Independent internal and external cooling to block moisture and dust from entry. 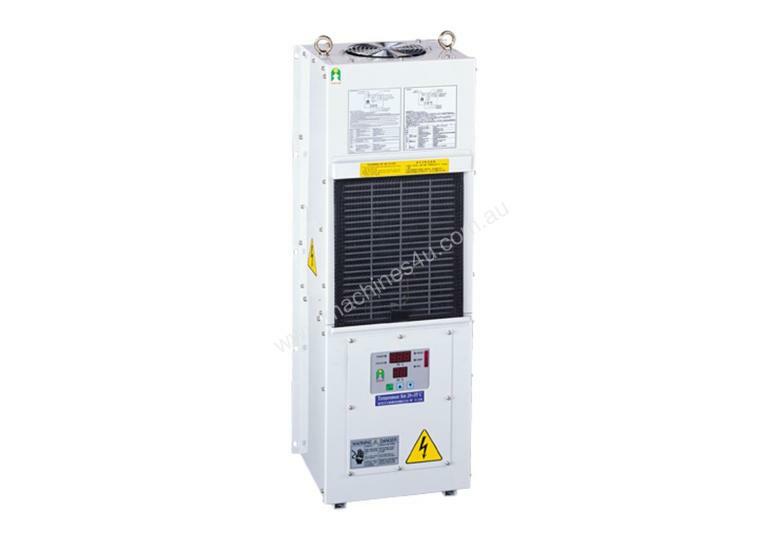 * High heat-dissipation and cooling capacity to maximize energy efficiency. * LCD thermometer enables easy operation and maintenance for precise, constant temp control. * Malfunction detection warns of breakdown. To enable us to select the correct air conditioner for your application please see the questionnaire below. Please contact our Service Department on for additional information.